We try to have something different every Sunday and this past week we suddenly realised that we had not had Cheesy Spinach Corn Casserole in ages. This is a recipe I learnt from my mother when I started to bake and I guess it was the first savoury baked dish I learnt. This is also the dish with which I learnt to make a Bechamel Sauce. Now that my mother is no more with us, this Cheesy Spinach Corn Casserole becomes especially dear to me. My endeavour (conscious or otherwise) is to get the taste as close to as what Amma made. I simply love this casserole. Its easy to make, and combines the goodness of spinach, corn, and cheese; not to forget delicious. Boil 1 litre of hot water. Add the spinach and corn to it. Cover and let boil for 5 minutes. Take off the heat and set aside 10 minutes. Drain the water completely and set aside. Grate or chop the cheese into fine pieces. Preheat an oven to 150°C. In a heavy bottomed vessel, heat the olive oil or butter. Add the refined flour and 5 minutes. While stirring constantly, add the milk. Add the cheese and cook till the cheese is completely melted. Add the spinach and corn. 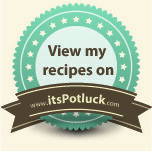 Pour the spinach and corn mix into a glass or ceramic baking dish. Bake at 150°C for 15 to 20 minutes or till a light brown crust starts to form. 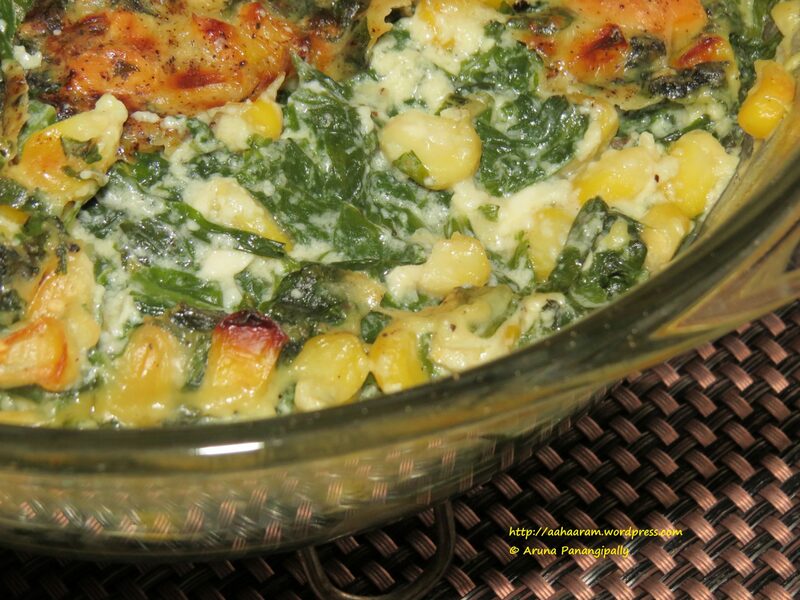 Serve the Cheesy Spinach Corn Casserole warm. Thank you 🙂 Do try it. It’s yummy! I have bookmarked this casserole. I shall be making it soon. Thanks for sharing! What a lovely dish! It looks just stunning & must taste heavenly too! 🙂 Yummm! Looks good! Would love to taste it! Your dish is Looking Yummy!